Doni is an investment advisor representative of ONESCO. She holds FINRA series 7, 66 and 63 registrations along with a health and life insurance license. Doni has been a LEAP* advisor since 1988 and has been a leading producer with Wisconsin Financial Group, where she has received many awards and recognitions. She has served on the Agents Advisory Council for Ohio National Financial Services and has earned Council of Honor membership consecutively since 1994. Prior to practicing financial advising for the past 24 years, Doni was a teacher in the Verona Area School District. She graduated from the University of Wisconsin- Madison with a Bachelors Degree in Education. Doni is the proud mother of three adult children; Davin, Dustin and Danika. As a typical soccer mom, she has spent countless hours commuting her children to various events, participating on school and church committees, and volunteering on the Board of the Verona Area Soccer Association. 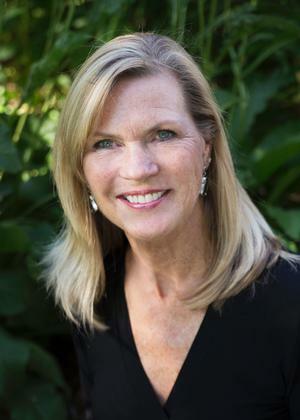 As part of her civic responsibility, Doni is a current board member of the South Madison Rotary Foundation. She serves on the Executive Board of the Children's Theater of Madison, and on the Advisory Board of the Madison College Business School. In her spare time, Doni enjoys traveling, gardening, reading, creating artistic baskets, and collecting art pieces from local artists. *ONESCO is not affiliated with, nor does it endorse or sponsor any particular prospecting, marketing or selling system. Products issued by The Ohio National Life Insurance Company and Ohio National Life Assurance Corporation. Products, product features and rider availability vary by state. Issuers not licensed to conduct business and products not distributed in AK, HI and NY.